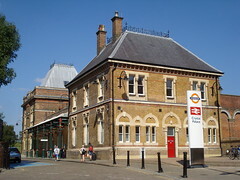 Zone 3/4 rail and London Overground on the Crystal Palace branch of the South London Line and the East London Line (as the terminus of a short spur from Sydenham). Last edited 2014-08-01 10:00:17 (version 10; diff). List all versions. Page last edited 2014-08-01 10:00:17 (version 10).